Without any doubt, in India, Honda’s Activa Scooter has become very popular and it is available in several different colours (shades). Young girls, young boys and mature people do select different colour as per their personal choice or choice of family. This section will tell you to find which is the five most popular Honda Activa colours which modern generation are selecting these days when they reach to the showroom of Honda Activa. Not only in the new purchase, many people give importance to colour when they purchase a second hand (used) Activa as colour matters! We can also find several buyers who reach to the showroom for purchase, but not sure for which shade, and they waste their valuable time or whatever shade suggested by the salesman, they bring their home. Let’s check out what colours are in demand for new Activa models running on Indian tracks. 5 out of 10 girls go to college, job or school by Activa, also men use it, the meaning of our words is that there is no need to describe this two Wheeler’s popularity in India. Honda Activa 125 and, Honda Activa 3G and Honda Activa-i are ongoing models for this scooter. 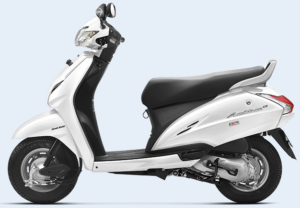 New Honda Activa-i Model is avail in Pearl Trance Yellow, Candy Jazzy Blue, Imperial Metallic Red, Pearl Amazing White, Orchid Purple Metallic and Black colours. Here is a popular colour range for New Activa Honda. They are Grey Metallic, Blue Metallic, Red Metallic, Pearl Amazing White, Silver Metallic and Black. Colour choice must be own, don’t do a copy of others. What shade you like, just buy it, don’t think for others. Like cars, even we can see a Metallic colour range for Activa. Recently launched Activa 4G comes with matt black color. according to report the new Activa 4g comes with BSIV Engine and Automatic Headlamp. while talking about colors, Honda come up with 2 new shades of Honda Activa 4G has been introduced. These shades of Activa 4G are quite stunning to have a beautiful ride and it is quite suitable to pick any activa 4g colors schemes such as. Stain, dust, dirt, etc. are no issue if you are die-hard fan of white colour vehicle. White seems pleasant and appealing. So many people do purchase white car these days and the same for the white coloured new Activa models. This shade has become common as plenty of people select it and they’re going just with a colour trend or own white choice, nothing else. White Money, White Activa!! Blue is eye-friendly colour and very less people are in the world who do not like Blue color. Love of Blue is increasing in vehicle segment also. Blue car, Blue Activa, Blue T-shirt, Blue Jeans, Blue Sunglass, etc. Stay in style with blue. Many college girls and youth love Blue colour and they finally go for the Blue Activa model. If we put some superstitious people at side, there are plenty of people who select Black colour as their vehicle’s color. Black is evergreen shade and it sounds amazing on Activa scooter. Black hair, black sunglass, black dress, black shoes, black Activa, what do you think? As per sale statistics, white and black are on top position. Those who do not go for White, Black or Blue, go for Grey or Red Metallic. No time to wipe your and do not want to go for particular black shade, then the best option for you is Grey Metallic. In comment, tell us your favorite Activa shade, so others can get better colour idea. I m interested in buying activate 3g in grey metallic color.. In one week I want to buy. Its a new model of activa 3g . new looks for the new generation. I am having Honda activa since 2010 having mahroon colour. Now want to have Honda active 3G in military green colour. Whether it is possible to have this colour. 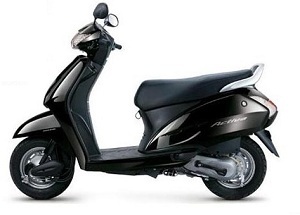 I love Honda activa but not satisfied with colors. I want in SIlver, cream and Olive green colors. I love Activa 3g Nice. Now want to have Honda active 3G in military green colour. Whether it is possible to have this colour. Activa 3G what is the present rate in lucknow ? Total road tax and insurance ? 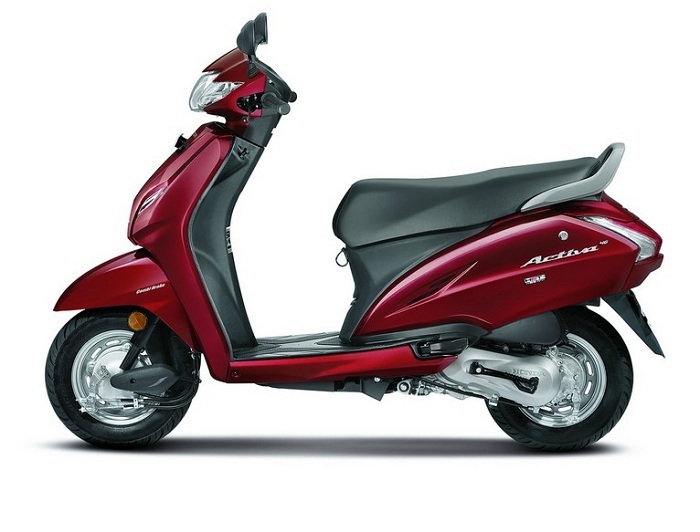 i want to purchase Honda activa . please send me proposal . 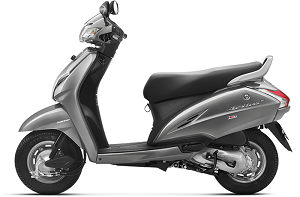 Grey Metallic in BS4 Activa 125CC (2017 model) is available ? I think that all colors are fab but I like most the black color.